Our mobile bars can be moved to the patio where many brides decide to have their cocktail hour. The cocktail hour allows guests whether they be family, old friends or new friends a chance to visit. This time of cocktails is great for lively banter on the patio while the wedding party is finishing up with the traditional wedding pictures. 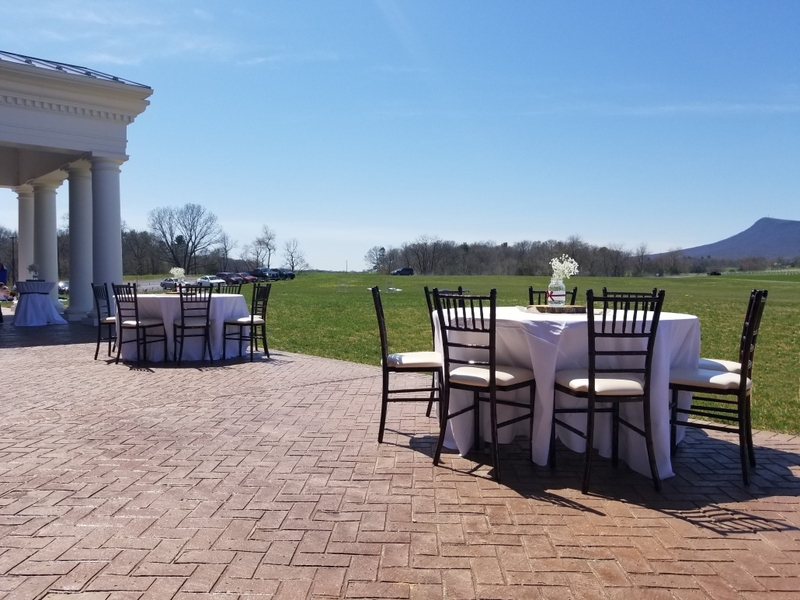 With beautiful views of the surrounding vineyard and farm guests can enjoy wine and drinks on our spacious patio and expansive lawn. Couples will have multiple locations for beverages, appetizer tables and high-top tables. Guests can make a drink selection and then stroll out on the lawn to watch or participate in a corn hole match or other lawn games. Conversations once begun around games continue as everyone moves about joining friends and family they haven’t seen as recently as they wished. The great news is the visiting and fun will continue as the party continues in our grand indoor reception hall. It’s really turned out to be a wonderful celebration with the newlyweds at Brix and Columns Vineyards wedding venue!